Where do I get advice about an older person who is struggling to cope at home alone? How do I find out more about getting help related to elder abuse? How do I make a complaint about care provided by an agency or organisation to an older person? Or contact Care Coordination Centre to discuss getting a needs assessment. The Age Concern website has a section on elder abuse and what to do. Read it on the Age Concern website here. In the first instance you should contact the organisation providing the care (if known) and discuss the issue with them. Contact the CCDHB’s Health of Older People portfolio manager on 04 806 2425. If the person is in a residential care facility – you can also contact the Ministry of Health’s certification section on 0800 855 066 or on the Ministry of Health website here. Senior Line is a free information service for older people and their family/whānau. We have information on rest homes and private hospitals, rental accommodation, retirement villages, home care and activity groups for Greater Auckland and Northland. The 0800 phone numbers operate New Zealand wide for enquiries about residential care. Information available includes asset testing, costs for residential care, detail on services that should be provided for needs assessed residents paying the Maximum Contribution fee, Admission Agreements and complaints. The Agewell website has many links to other sites and to other community groups and organisations which may be of interest to seniors. It also includes health and lifestyle topics. Free and confidential Elder Abuse and Neglect Prevention Services which employ professional staff to work with older people and their carers, providing support and advocacy so that older people can be happy, healthy and safe. Accredited Visiting Service which is a befriending service that provides regular visits to older people who would like more company. This website will act as a gateway where you can access information that is specifically tailored to be useful and relevant for seniors. While you can find information about your entitlements and the support you can receive from the Government, including SuperGold card discounts, this website will also provide you with information that will help you make the most of your senior years. There are articles and links on volunteering, how to use technology, keeping fit, remaining healthy and staying connected to your community. Trusted health information and self-help resources for all New Zealanders about hundreds of health topics. Includes plain English information about medicines, and information in multiple languages. Phone calls are free from within New Zealand. Rest Homes, Dementia, Hospitals and Specialist Hospital Care. Other support and information is also available. In this section you will find products, services and operators that have the older person in mind. 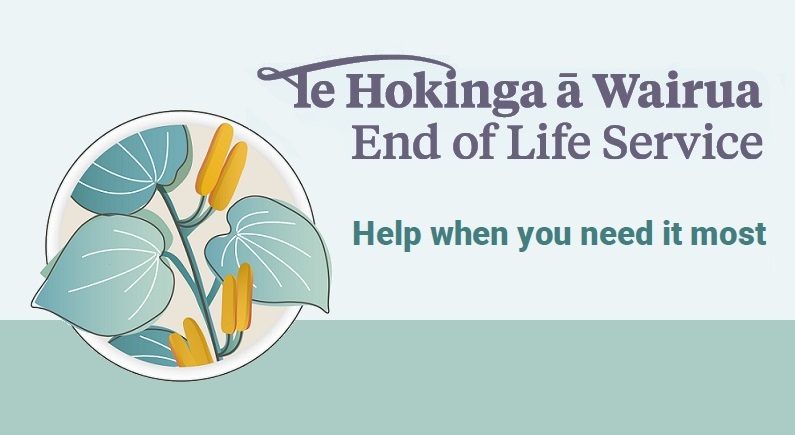 Te Hokinga ā Wairua End of Life Service is a source of expert, trusted and accessible information to help guide people facing the loss of a loved one, with a clear and concise timeline of what to do in the days, weeks and months following a death. Practical advice such as finding a funeral director, guidance on funeral and memorial service options, financial assistance, and details about wills and administering an estate is all consolidated in one place. The free online service also gives people the information and tools they need to create and share a personalised plan of their end of life preferences and wishes, to make it easier on those they will leave behind. Find out more at https://endoflife.services.govt.nz/welcome.